Thomas Cook is cooking up a magic potion. However, this is my two pence on Thomas Cook. 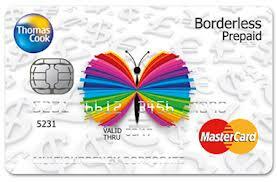 Thomas Cook is the only company apart from Banks that is licensed to provide Multi-Currency prepaid cards. The Financial services business is robust and will largely benefit with the increased tourism in and out of India. The travel business is to significantly boom with the MICE ( Meetings, Incentives, Conference and Exhibitions business ). Thomas Cook has continuously been ranked amongst the top providers of the service by Lonely Planet, Trip Advisor and Conde Nest. Quess Corp will be able to rake in an EBIT of 300 cr from the current 102 cr by 2019-20. With the Modi Govt increasing trade relations with a host of countries Quess will easily be employing Indians by the hordes in countries that do not have a youth population. Irrespective of this probability, the scope in India’s temp industry is huge and has years of growth in just getting this sector organised. With just 3 organised players in the industry – Mahindra Holidays, Country Club and Sterling, the vacation ownership business is still hugely untapped. I expect Sterling to not only become profitable in a few years but also provide a huge float for the company. Mahindra holidays had a negative working capital of 250 cr on a 650 cr balance sheet last year. Assuming that by the end of the decade the Financial Services and Travel Business have an EBIT of 360 cr 2x from here, Quess has a 300 cr 3x from here and Sterling has a modest 20 cr EBIT, it is a total of 680 cr EBIT or a PAT of about 500 cr. At 20x the company would be valued at 10,000 cr and at 30x its would trade at 15,000 cr. That’s 2x-3x from the current optimistic valuations. This company is not one that is undiscovered or under understood which means that it will always trade at premium valuations. The uncertainty in achieving this growth is kind of low, and therefore the valuations are high. Applying a few of Thomas Phelps 100 to 1 filters. Small – Each of its businesses though leaders in the industry are still small. Relatively unknown – Most people still perceive Thomas Cook to be in the Travel business only. Unique Product that makes an essential job faster, cheaper or better – Quess certainly falls in this category. 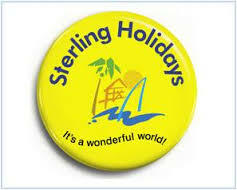 Sterling and Thomas Cook on the other hand just do good business. Strong progressive research minded management – All ticks here. Stocks that professional managers like but are not sure off – This company is not easy to project on an excel. Thus funds will take a little while longer to get into it and leave most of the stock to value investors. Promoters Self Interest Parallel to yours – This is Prem Watsa we are talking about. Multi-bagger ideas and not just doublers – The possibility is huge. Earning potential and re-rating – Re rating has already happened, one can only profit from earnings increase. Quality of earnings is of utmost importance – The new segment reporting classification is very clear. Is this a selling to a bigger fool venture – The company judges itself on a free cash flow basis, not like an internet company and it purchases companies on the same basis too. Continuos re-investing of cash into ventures with high return on capital. Distressed business in Distressed Industries – Sterling was distressed when bought over. Guess corps acquisitions have been distressed businesses. This company is one that looks at buying distressed businesses in distressed industries. Margin of Safety – When you follow cash flow based acquisitions , your MoS is automatically high. Low Risk – High Uncertainty – Couldn’t be more true. Copycat or Innovator – Not in the innovation business. In the efficiency business. Can lift and scale ? – Oh yeah. Land, Labor, Capital and Entrepreneurship – Of all India has Labor in abundance and the market here is very unregulated. Quess Corp is an attempt of literally owning people. I believe Quess can easily become the invisible partner to every growing business at various levels. At a very fundamental level, Quess will be a huge force to reckon with in the future and the changing labor laws is pure serendipity. Thomas Cook has multiple tail winds working in its favour, and most of them have a very high probability of success. The only call that you have to take here is whether you would still bet for increase in earnings as the multiples are as high as they can get. Previous articleCareer PointCareer Point- An Education PE Fund ? Do you not think that a market cap of 10,000 crore at the end of the decade would not really result in stellar returns for those who invest now? Since the company is already having a market cap of around 4500-5000 crore currently. Of course, a 30x valuation would make the returns slightly more attractive at 3x current price. However, do you not feel the current PE has taken into account this massive increase in earnings and PAT? Exactly what I said in the post. Re rating will not happen. If you believe there is large room for earning growth – stay or buy. As for stellar returns, they usually happen when you buy unloved stocks. After prof. Bakshi report, this is quite the opposite. So, it means loved stocks do deliver stellar returns. Good paradigm shift. The email feed should be appearing at the bottom right corner. Can you comment on how upcoming Quess IPO (which just got the SEBI approval) will affect the Thomas Cook stock and it’s shareholders? Reblogged this on Rajiv Soni. Excellent study. Subscribed to your blog now!